El Encanto Avenue, 33900 Block (10:32 p.m.) A man was seen entering a house through a sliding door. La Plaza, 34100 Block (7:57 p.m.) Seven or eight drunken men were harassing customers at nearby restaurants. Alcazar Drive, 33800 Block (1:46 p.m.) Two women and a man were seen entering a red tagged house. Pacific Coast Highway, 34200 Block (12:44 p.m.) Multiple teens were brawling in the parking lot between McDonald’s and Del Taco. La Serena Drive, 34100 Block (10:33 a.m.) A caller complained about the sound of an electric guitar being played too loudly. Street of the Amber Lantern/Santa Clara Avenue (6:47 p.m.) A man who appeared to be a transient was seen going through the Jack’s Restaurant parking lot letting air out of car tires. The man was described as being 35 years old and wearing a navy blue hoodie, black pants and carrying a gray backpack with a red sweatshirt tied to it. Dana Point Harbor Drive/Pacific Coast Highway (6:37 p.m.) A woman called to report people camping at the bottom of the stairs at her condo complex. Holtz Hill Drive, 33600 Block (2:18 a.m.) Deputies were called when a large group of people was seen in fisticuffs in front of a residence. Doheny Park Road, 34000 Block (12:06 a.m.) A patrol check was requested for a gray Chevy van and a black pickup truck parked illegally overnight in the Smart & Final parking lot. Street of the Golden Lantern, 33300 Block (4:41 p.m.) Juveniles were seen in a black Subaru doing donuts on the field. La Plaza, 34000 Block (10:21 a.m.) A caller phoned police from inside the restroom to report someone was blocking them from opening the door. The caller said it seemed as if someone was lying down against the door. Santa Clara Avenue, 24200 Block (8:35 a.m.) A man said his condo was broken into by “several men” while he was sleeping the previous night. Del Obispo Street, 33600 Block (5:23 p.m.) A woman locked herself inside the Dana Capistrano Animal Clinic after being yelled at and chased by a drunken homeless man while she was outside walking some dogs. 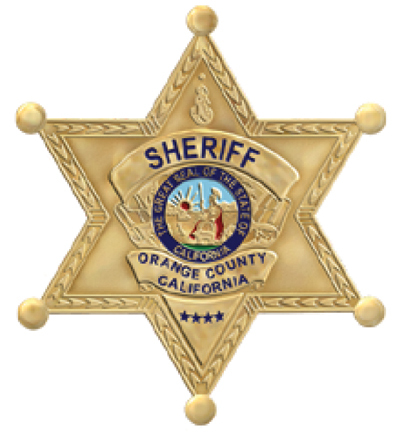 Selva Road, 34100 Block (12:41 p.m.) Orange County Fire Authority responded to a report of a possible drug overdose by a 25-year-old man near the Veterans Memorial at Strand Vista Park. The man was conscious and breathing. Shoreline Drive/Coast Highway (10:10 a.m.) A man and woman asked to borrow the caller’s phone and then took off running with it. Street of the Park Lantern, 25100 Block (8:27 p.m.) A caller from the Laguna Cliffs Marriott reported homeless subjects who stole a hotel umbrella from the pool area and took it to their nearby encampment. The caller wanted help with getting the umbrella back. Avenida Las Palmas, 27000 Block (7:26 p.m.) A man asked to speak to deputies because he believed someone had poisoned his dogs and left a note. The man’s dog was throwing up and someone had thrown food over his fence, he said. Colegio Drive/La Cresta Drive (5:07 p.m.) A patrol check was requested when three men who ripped a “no parking” sign out of the ground and were seen leaving in a dark colored compact sedan. Street of the Golden Lantern, 32500 Block (2:49 p.m.) A patrol check was requested for a woman wearing a hijab, panhandling with a young boy near Yogurtland. The caller had seen the woman doing the same thing at another location and then getting into a Lexus 470 and driving away after receiving money. Beach Road, 35000 Block (12:07 p.m.) A caller was told that retired law enforcement was detaining a burglary suspect. No further information was available at the time of the call. A 45-year-old man who said he works in construction was arrested and is being held at Central Men’s Jail on $20,000 bail. Malaga Drive, 33900 Block (3:21 a.m.) Two male subjects were heard outside the caller’s door, trying to open it. The caller, who was hiding in a locked bathroom, said the men went into the back yard after trying the door. Puerto Place, 34600 Block (8:19 p.m.) A woman was yelling into the phone, “Who are you? Stop following us. Get your foot off my mom, she’s old.” On call back, the same woman answered, said “stop calling” and then yelled even louder. Deputies tracked the call to the phone of a frequent caller known to have a mental illness. Del Obispo Street, 33800 Block (7:42 p.m.) A man was reportedly playing video games extremely loudly. The caller said the man would play for about 10 to 15 minutes, stop, and then start up again. Domingo Avenue/Doheny Park Road (10:01 a.m.) A 58-year-old handyman was arrested on a warrant and is being held at Central Men’s Jail on $1,500 bail. Domingo Avenue/Doheny Park Road (9:40 a.m.) A 49-year-old unemployed man was arrested and is being held without bail at Central Men’s Jail. Doheny Park Road, 34100 Block (9:02 a.m.) A man who was either drunk or on drugs was seen punching signs and urinating in public. A 48-year-old man who said he works in construction was arrested, taken to the Intake Release Center, cited and then released.